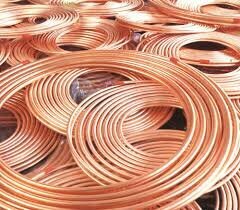 COPPER price has continued to make a steady recovery on the London Metal Exchange (LME) registering an upsurge of $148.50 on Wednesday, according to Cavmont Bank Zambia daily market report. The bank reported that with the increase the price of the red metal was pushed to $4,946.00 a tonne. The bank also reported that the Brent crude oil dropped by $0.42, and was currently trading at $43.66 a barrel. On the other hand, the price of gold modestly rose by US$9.60 and the precious metal was now selling at $1,243.43 an ounce. The bank reported that, on the local scene, the kwacha suffered a setback on the foreign exchange market due to waning of dollar supply. The Kwacha came under further pressure against the dollar on Wednesday following the weakening of the green back from corporates and exporters. The local unit opened at K9.2500 / K9.2700 but was later seen being quoted K9.2800 / K9.3000 during noon trading following increased demand for the vehicle currency. It later closed at K9.280 / K9.300, K0.030 weaker than Tuesday’s closing rate. On money markets, the bank reported that commercial banks’ aggregate current account balance increased by K0.211 million to K1,407.5 million while the overnight borrowing and lending rate declined by 0.62 per cent to 26.88 per cent. Total funds therefore, traded on Interbank were K461.90 million. The Lusaka Stock Exchange (LuSE) All Share Index remained unchanged at 5,150.00 points.